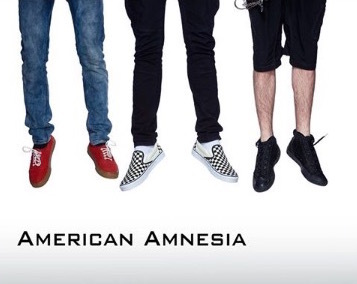 American Amnesia brings a throwback metal-prog sound with its new release ‘…Yet Here We Are.’ These young rockers are well-studied and take an interesting approach to blending classics with modern music. It’s a refreshing sound for people who love Alice in Chains, The Killers, and other hard rock and progressive fare. The Connecticut-based band members bonded over their love of music. It was the love of writing and performing a range of music that brought singer-guitarist Patrick Nemaizer to collaborator Sam Cesnak. American Amnesia has two albums and Howard Nemaizer began producing some very strong demos of their original material. The band created its own label, Prophet Motive Records LLC to promote, market, distribute and manage the band, music and individual members of American Amnesia. The debut album, . . .Yet Here We Are is out now. Patrick Nemaizer is on vocals and guitar, Sam Cesnak plays drums and Gus Pac is the bassist.